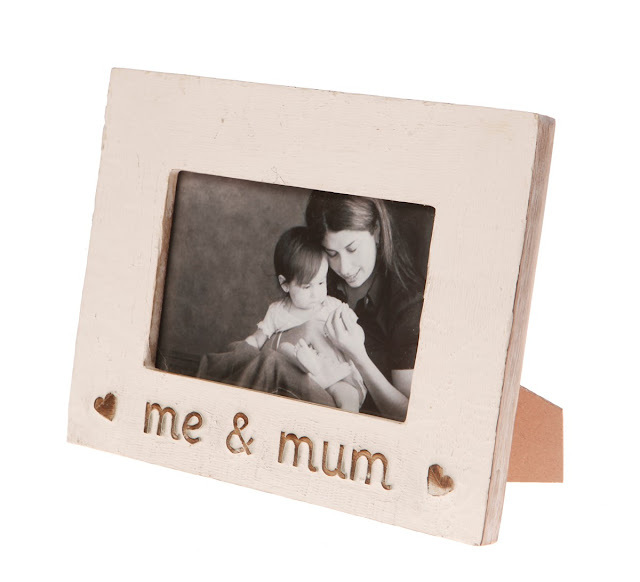 Make Mum feel special this Mother's Day! Mother's Day is fast approaching, with not long to go until 6th March when Mums all over the country will be celebrated for all they do for us! 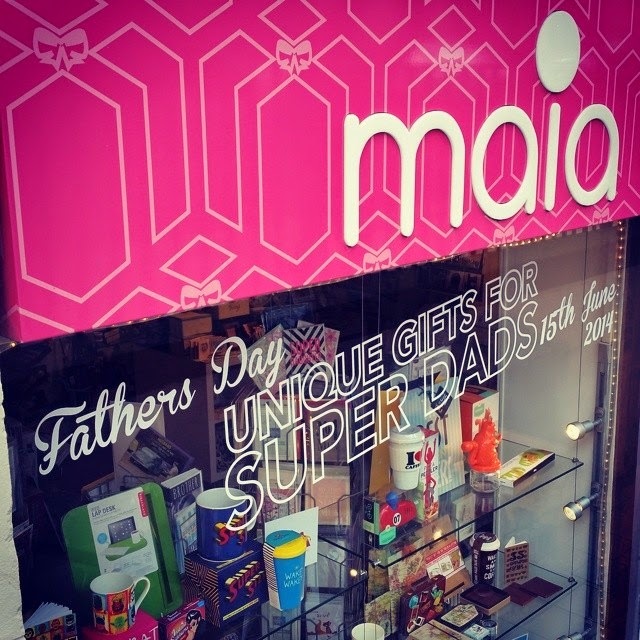 We at Maia know that as lovely as mums are, they can sometimes be a little tricky to find gifts for. We have a really fantastic collection of gifts for mums in the store and also online, so this year buying for Mother's Day should be a dawdle. We've put together a few of our favourites here for you to check out! 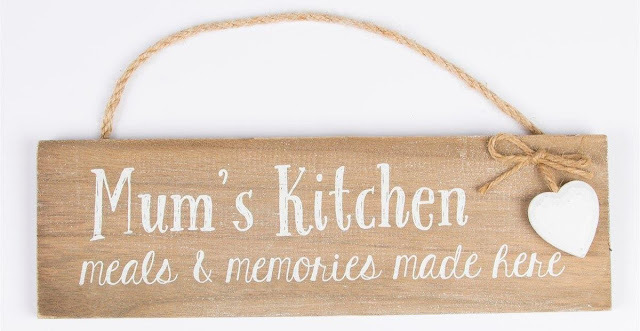 For those of us with Mums who love their kitchens, the Farmhouse Shabby Chic Sign shown above makes the perfect present. Let her know you not only appreciate her cooking, but her company aswell! 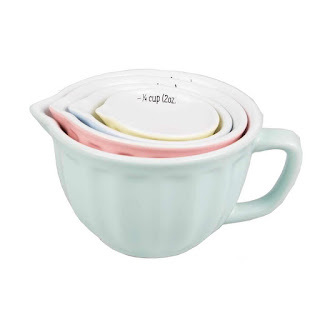 There are loads of other kitchen gifts too, including these adorable Stoneware Measuring Cups. 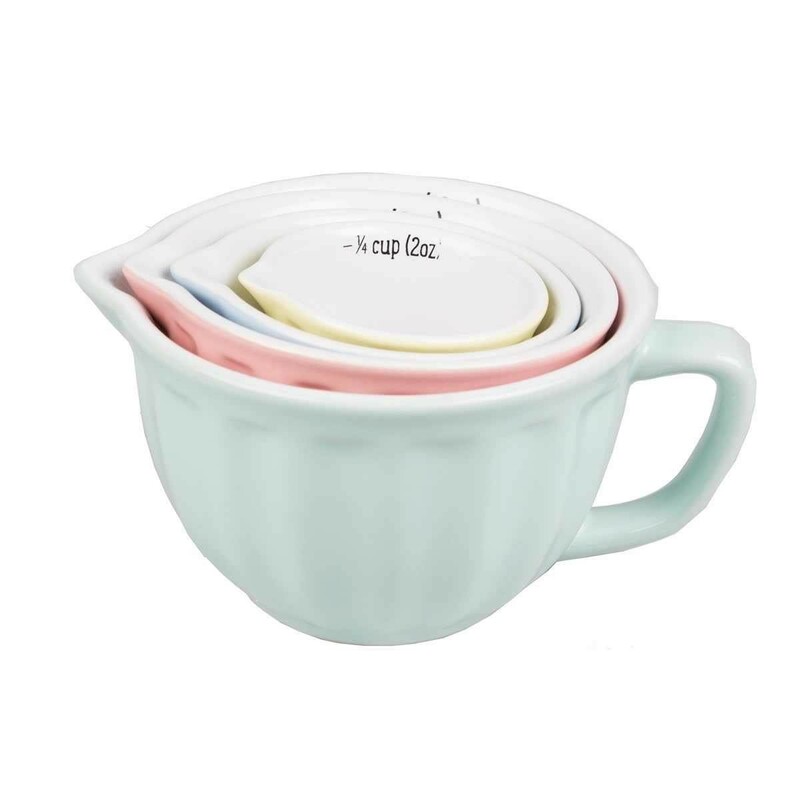 The set contains four and they are in beautiful pastel colours giving them a retro yet timeless look! And the practical mum will especially appreciate how neatly they can be stacked when not in use! 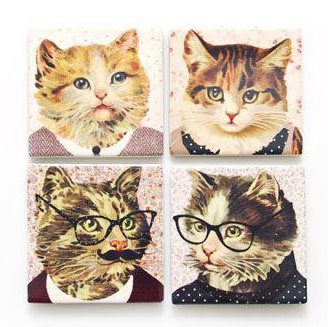 For the mum with a soft spot for felines, this set of four Stylish Cat Coasters will make a wonderful surprise! Each coaster features a different moggie wearing smart-catual clothes in front of a pretty floral background. But if your mum prefers a glass of wine over a cup of tea, you don't have to look far! 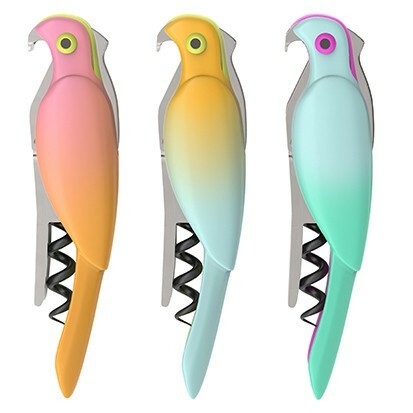 We have lots of wine-related gifts in our collection, and these Corkatoo Bottle Openers shown below are fun, stylish and bound to come in handy too! If we are lucky we will experience a truly unique relationship with our Mum throughout our lives. A picture says a thousand words, and a photograph of a particular event or time in your lives can make a strong statement. Why not choose a photograph of a time you had together which has special memories, and present it to her in the stunning rustic Me & Mum Frame shown below? The frame has two little hearts on it too to show her how much you love her. Displayed in her home it will constantly remind her of your times together and how much you appreciate her support and love. We have lots of other lovely things for your Mum's home too. 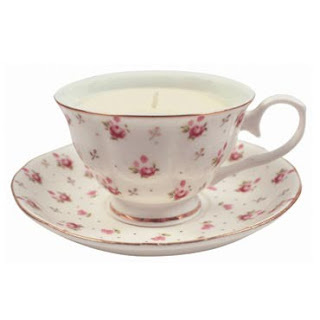 We particularly love this elegant Teacup Candle. With a wonderful vanilla scent and presented in a pretty gift box, this makes a great gift for a mum who loves to enjoy me-time and get cosy. Featuring a stunning vintage floral design, the teacup has a timeless sophistication to it, and what's more, when the candle is finished your Mum can wash the cup out and use it to enjoy her brew! Two gifts in one! There are loads of other home accessories in our range too, from candles and reed diffusers to mugs, retro telephones and doorstops. We love this beautiful Mummy Bee Hand Cream scented with Lavender and Geranium. Mums are kept busy a lot of the time, and it doesn't take long for hard-working hands to begin to suffer as a result. With this lovely nourishing cream made with cocoa, shea butter and vitamin E, your Mum can keep her hands hydrated and in tip-top condition. The tube is the perfect size to carry in a handbag, and it is also presented in an absolutely gorgeous gift box featuring a botanical illustration design. A very handy gift indeed! This beautiful Walking Umbrella also features a vintage floral print. If you live in, around or anywhere similar to Glasgow weather-wise, this will prove to be a very useful gift! 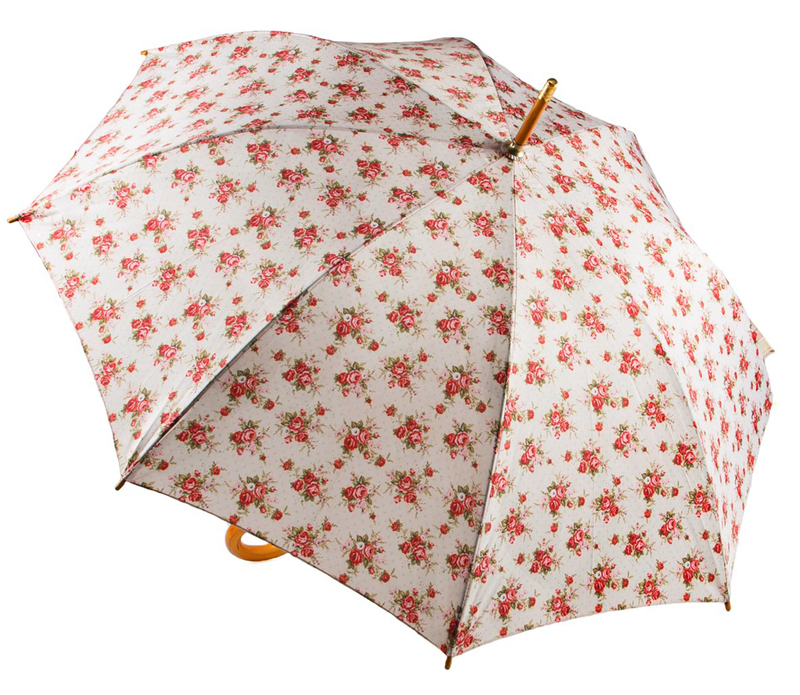 With automatic opening and a sleek wooden handle, this is a brolly that your Mum will get years of use from. Even when the weather is bad, her day will be brightened by your lovely gift and she will be reminded of the ray of sunshine that is her wonderful child! 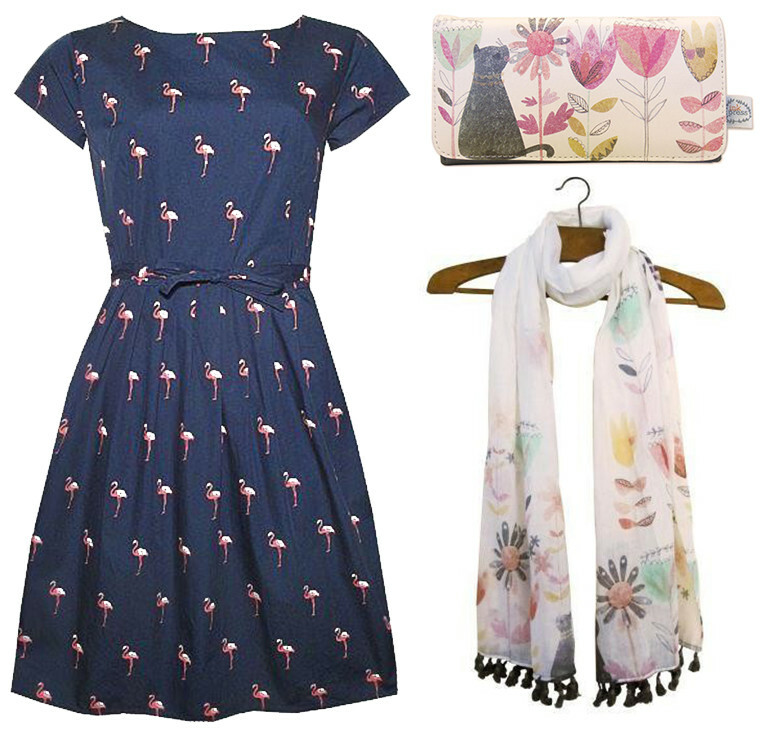 If you are looking for a gift your mummy can wear, why not have a look at our collection of Fashion and Accessories, with everything from Dresses and Cardigans, to scarves, purses, bags and compact mirrors! Not forgetting make-up bags, washbags and laptop cases. We have got it all! 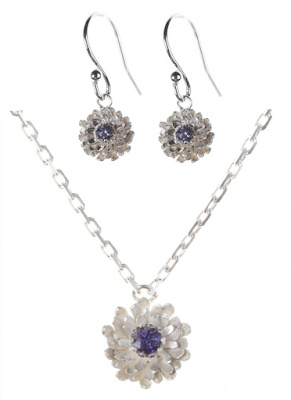 And if you are looking for something really special for Mothering Sunday, why not consider choosing a piece from our fantastic collection of jewellery. With a wide variety of jewellery from handmade wooden pieces to real flower jewellery, there is bound to be something that would suit your mum. Many pieces have matching options, like this striking silver Dahlia Pendant which has matching mini Dahlia dangly earrings available in our collection too. Choose from rings, earrings, pendants, bracelets, bangles and brooches. Your mum will be able to wear your gift as a token of your love everywhere she goes! We hope you have enjoyed looking at some of our favourites from our extensive collection of Mother's Day Gift Ideas! 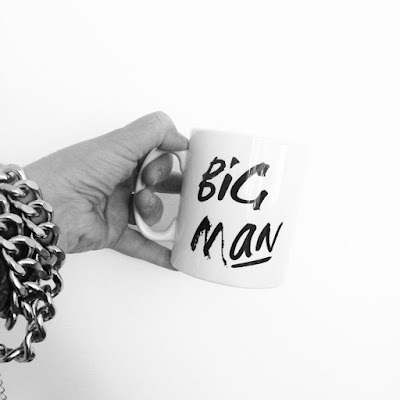 Whatever your budget, and whatever your Mum's likes and style are, you are guaranteed to come across the ideal gift on our website or when you pop into our Bath Street store. 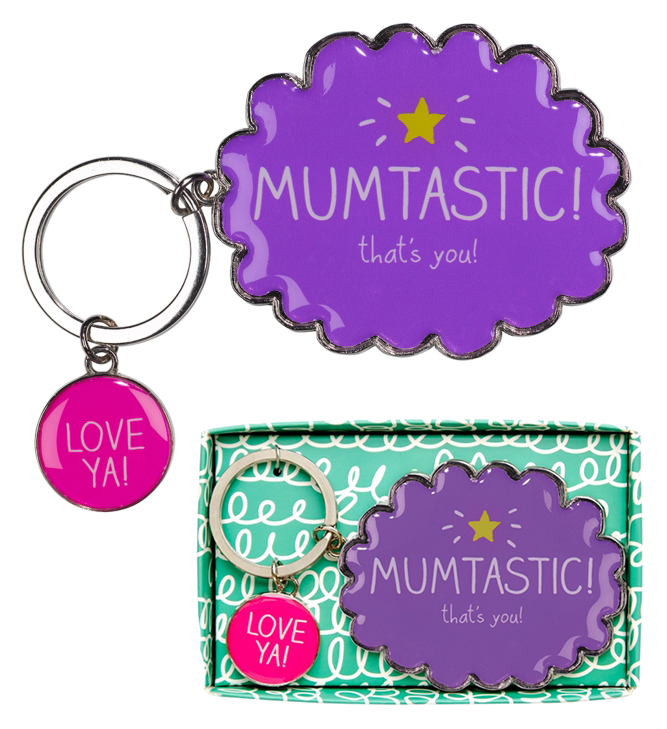 We think this Fun Keyring says it all, Mumtastic Mums deserve Mumtastic gifts! We hope we have inspired you to find something lovely to treat your Mum to this Mother's Day. 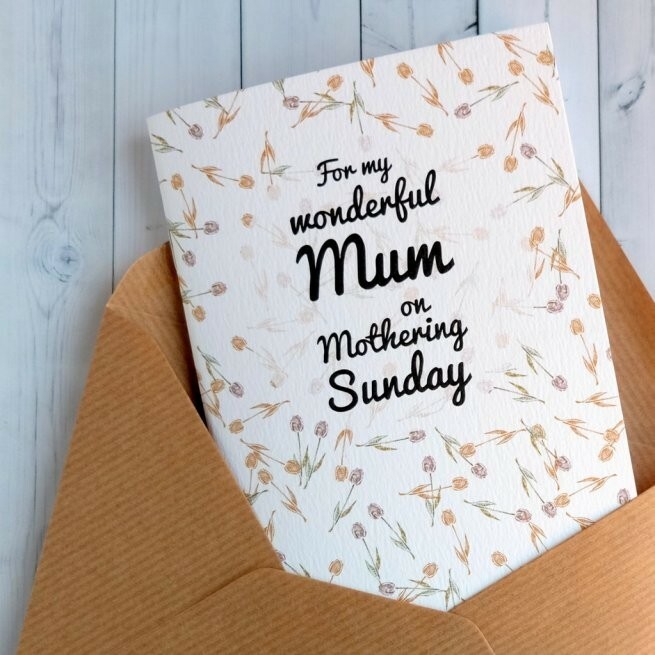 And if you are sending your appreciation from across the miles, we have some really fantastic Mother's Day Cards available too. 6th of March...don't forget! With just one week left until Valentine's Day, you've still enough time to find the perfect gift for your other half. From jewellery and sentimental keepsakes, to novelty items and books, you are sure to find that special gift that really says 'I Love You'! 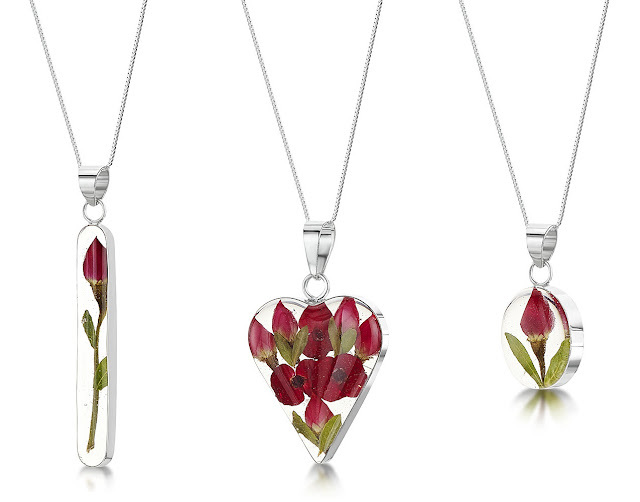 How about a stunning piece of real flower jewellery [pictured above] to give your loved one flowers in a really unique, not to mention long-lasting, way! These three pendants are new to our collection, and all hold real Rosebuds and the middle one also has gorgeous red poppy flowers too. Set in sterling silver and presented in a stylish giftbox, there are loads of other designs in our collection too, from Forget-Me-Nots to Heather! There are lots of lovely things perfect for your little lovenest too! 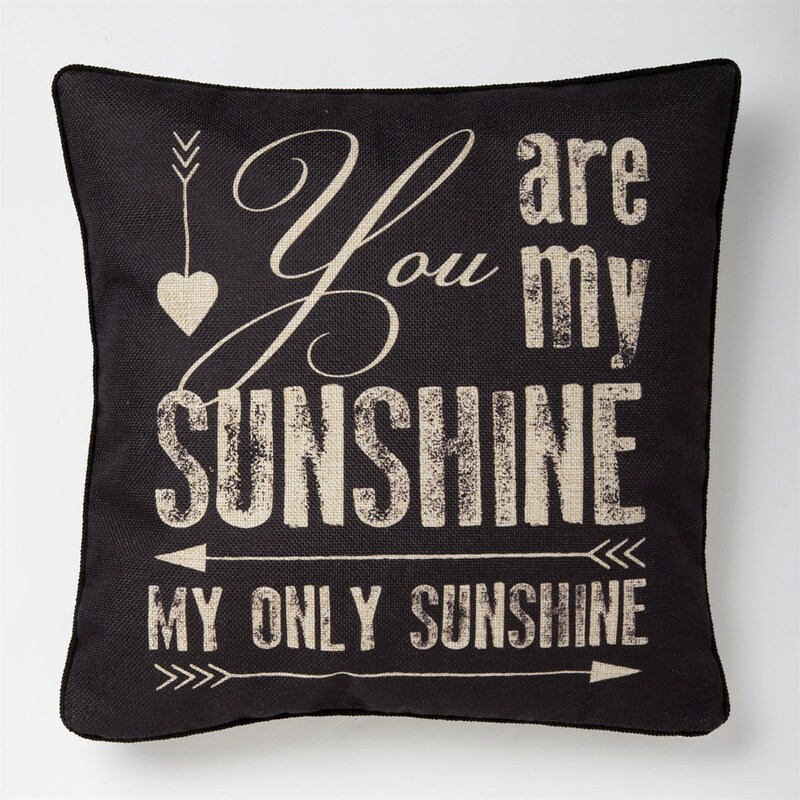 We love this black cushion, featuring the adorable lyrics we all know so well. 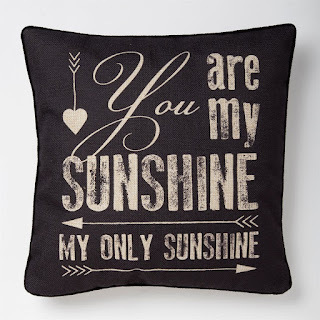 A gift that will be used year-round and will remind your other half of how much you love them every time they sit down on it! 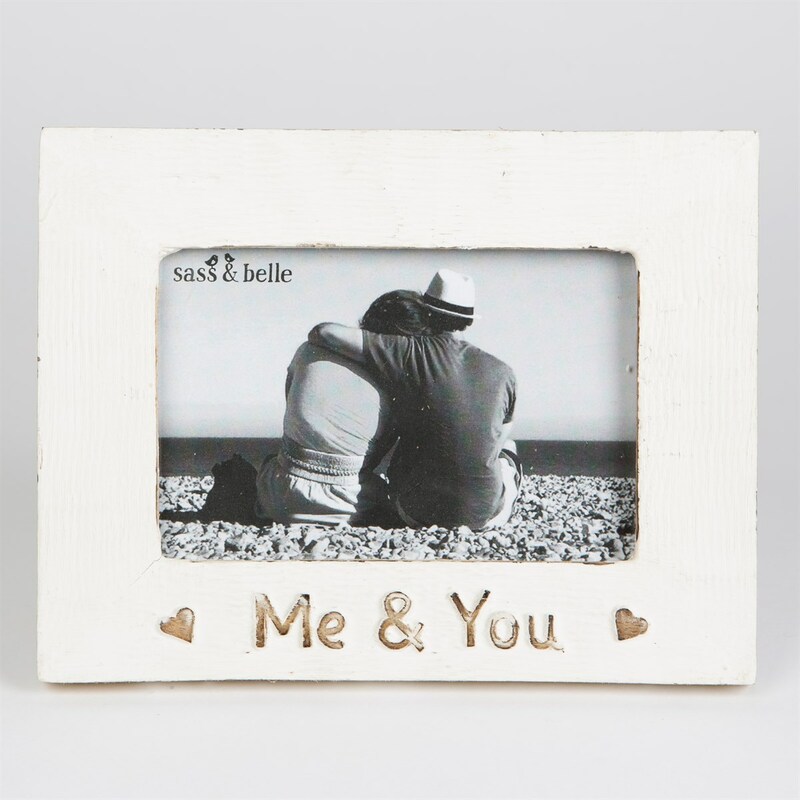 A nice photo frame can speak volumes too, and we think this 'Me & You' frame makes a really special gift for your Valentine, especially if you put a photo of the two of you inside it before you give them it! We also have some fantastic mugs sure to put a smile on your partner's face. 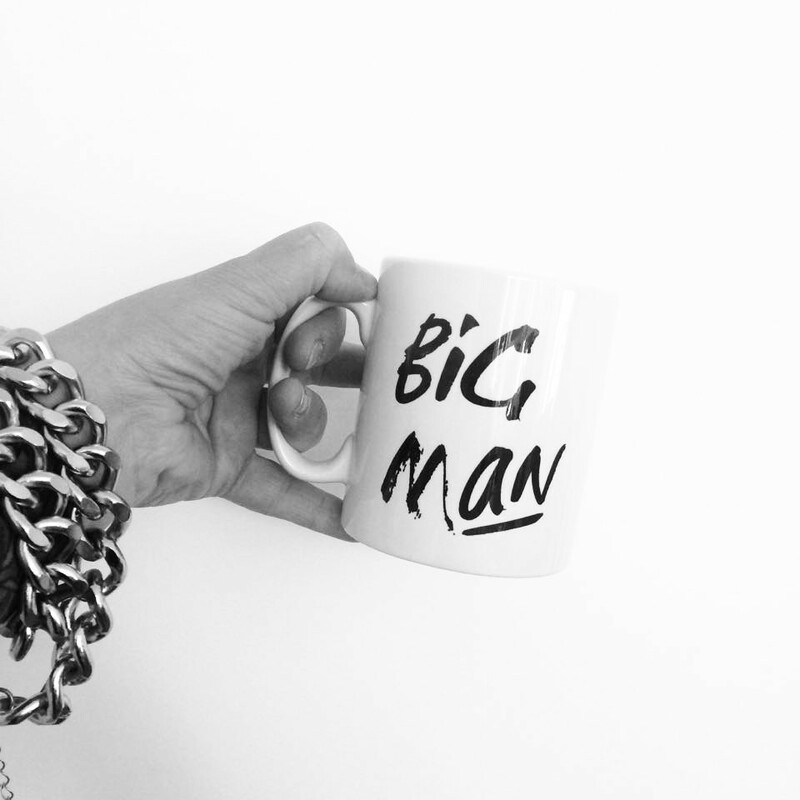 This 'Big Man' mug is very popular and surely the best compliment you could give your boyfriend or husband on the 14th February! There are options for your girlfriend or wife too! Why not get one each? 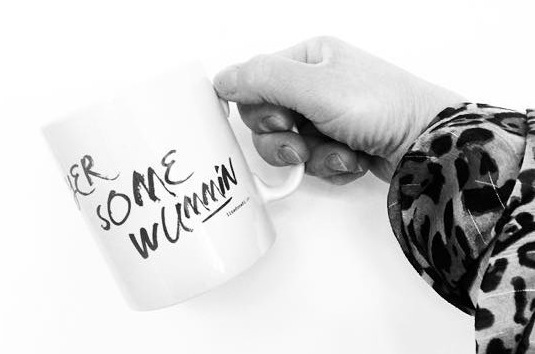 We love this 'Yer Sum Wummin' mug, and so will the leading lady in your life. And if you prefer to make it crystal clear how you feel, why not surprise your loved one with a statement plaque like this red one featuring the words 'Be My Valentine'? Hide it somewhere around your home, in their car or office to surprise them when the special day rolls around! 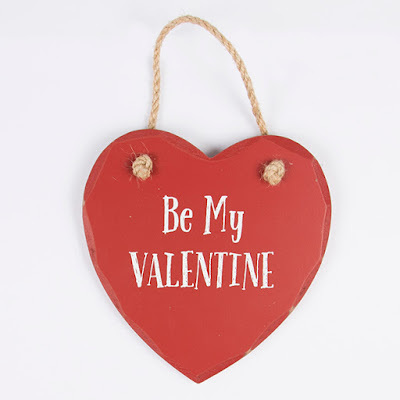 These are just a few lovely things from our Valentine's Collection, check out the website or pop into the store for plenty more gift ideas to suit all personalities and relationships!